"The Powerful large paintings will surprise you when you are in the Accademia Gallery"
Why you should visit the Accademia Gallery? Even if you are not a lover of art paintings it is worth a visit. Read this page and you know what to expect. Sure, you will recognize some important art pieces which you know from art class! 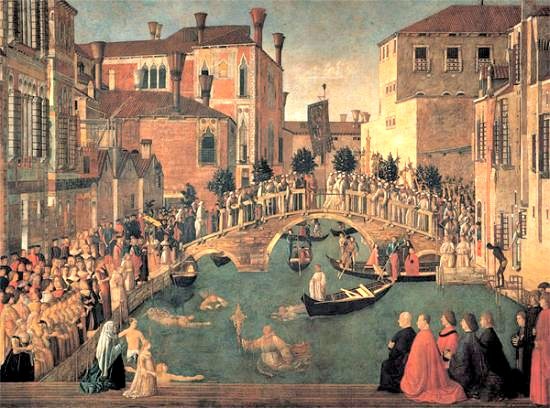 It is the largest collection of art paintings in Venice and world renowned. To be honest,,, art is not my favorite, but the powerful large paintings made a big impression on me. The Accademia Gallery in Venice? You know Bellini, Carpaccio, Tintoretto and Tiepolo? Their artwork can be seen here. The beautiful collection is stolen by Napoleon from churches all around Europe and gathered in Venice. And the museum is used by the art school Accademia di Belle Arti houses near there. a Real Venice attraction! In total there are 24 rooms with paintings. If you start with room 1, then you will be guided through the rooms with paintings which are from one style, the same painter and the connecting period. In the Accademia Gallery the pieces of art are from the fourteenth until the eighteenth century. In Room 10 you can see a painting which was banned for many years. The painting is made by Paolo Veronese. He liked to mock with the church. 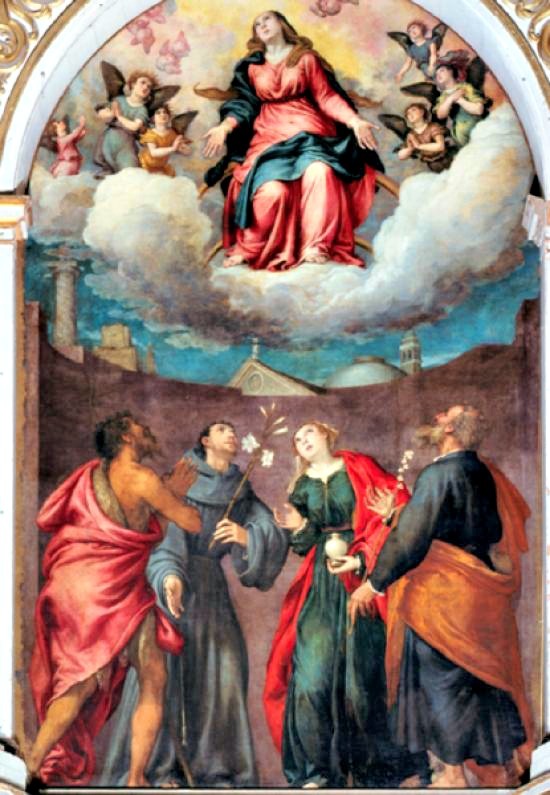 The restored painting caused raised eyebrows in the Catholic Church. This painting is based on the Bible story about the "Last Supper in the House of Levi". But, this is a dinner of drunks, dwarfs, dogs with Muslims and Germans alongside the apostles. Gallerie dell'Accademia is open on Tuesday - Sunday from 8:15 am to 19:15 pm. And on Monday until 14:00. An entrance ticket costs EUR 15, - and EUR 12, - if you have a discount (student or under 18 years of age, etc.). On the website of the museum you can see exactly who are eligible for a discount. You need at least 90 minutes to visit the museum. But, of course you can decide that for yourself. TIP! An audio guide costs EUR 6, - extra. But I do not recommend an audio guide. Be enchanted by the great paintings and read the English text that is installed neatly beside the paintings! During the summer month's it is possible that you have to wait in line due the day-tripper-tourist. Go therefore in the afternoon. Most day-trippers make their way home and school children are gone. How to get to this fantastic museum? The Gallery has its own vaporetto stop "Accademia" at the Grand Canal. The museum is located in the Dorsoduro district on Campo della Carita. And of course near the Accademia Bridge. 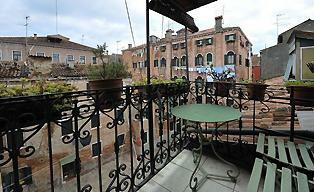 Nearby you also have eateries, a toilet and you can also visit the nearby Peggy Guggenheim Museum on the same day. You've read about the Gallerie dell'Accademia in Venice. There is plenty to explore, as you see. Read my site about Venice and get more information on this beautiful Italian city.